Prices of the AI, Blockchain and Impact Training Course have been SLASHED! The Blockchain Academy has partnered with Intelligent Impact and Bitcoin Events to bring you a practical and insightful two-day training session on blockchain technology and artificial intelligence (AI), aimed at enterprises, non-profits, development organisations, government, corporates and investment firms. 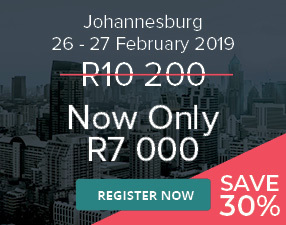 The AI, Blockchain and Impact training course is taking place in conjunction with the annual Blockchain Africa Conference 2019 which is in its 5th year! In celebration, we are offering you, our loyal AI, blockchain and crypto community, 30% discount on the training course in Johannesburg. Why should you attend? Influencers, innovators and entrepreneurs in the artificial intelligence, blockchain and social impact space will be presenting at the AI, Blockchain and Impact training course. Have a look at our captivating programme and speakers for the training course here.